This year’s Nobel Prize in Physics was awarded to two scientists who study the relationship between light and matter. 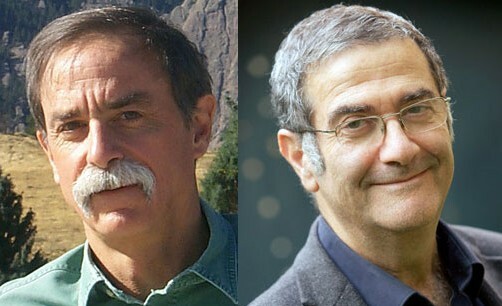 Serge Haroche of Collège de France and Ecole Normale Supérieure in Paris, and David Wineland of National Institute of Standards and Technology (NIST) and University of Colorado Boulder, independently devised methods to directly observe quantum interactions that had previously only been thought experiments. One of the most fundamental, not to mention wacky, aspects of quantum mechanics is the tendency for particles to exist in every possible position at every moment. While theoretically provable, particles immediately settle into a single configuration the moment they are observed. Superposition collapses. The two researchers came from different angles to observe, control, and measure quantum particles in superposition. Haroche solves the problem by trapping photons between two niobium mirrors. Not only are the mirrors among the world’s shiniest, they are able to be supercooled to within a degree of absolute zero. While most photons are absorbed immediately, these highly reflective surfaces keep a single photon ricocheting between them for nearly a tenth of a second before it is lost. Haroche sends huge, doughnut-shaped Rydberg atoms through a cavity between the two concave mirrors and measures the effect of the photons on the atom when it emerges on the other side. The trapped photons create an indelible shift in each atom’s state, allowing Haroche to observe quantum superposition in real time. From his lab in Colorado, Wineland releases ions in a supercooled, vacuum-compressed chamber. By tuning a laser to a specific frequency, he traps them in both their highest and lowest energy states simultaneously. They are held in place by electron fields. The ions are now in a superposition, allowing Wineland to control and measure them with a laser. Wineland has applied his research to developing more a more precise atomic clock. He has also demonstrated that controlling superposition via an ion trap could lead to quantum computing. Conceived by Richard Feynman in 1982, quantum computing would decimate the time required to solve complicated, number-crunching algorithms.